Twins Parker and Charlie are polar opposites. Where Charlie is fearless, Parker is careful. Charlie is confident while Parker aims to please. Charlie is outgoing and outspoken; Parker is introverted and reserved. And of course, there’s the one other major difference: Charlie got cancer. Parker didn’t. Immerse yourself in the words of others. For Parker, it’s listening to Taylor Swift. For me, it’s finding a book that I can lose myself in. Sometimes, the mere act of letting yourself spend time with other voices is enough to give your worried mind a break. Get busy. In my book, Parker starts helping out at a local ceramics shop, working with a group of old women while discovering the joy of making things with her own two hands. For me, it’s writing and being a reading buddy at a local elementary school. Creating and volunteering are both great ways of slowing the worry train, letting your mind focus on other avenues. Be kind to yourself. It’s very easy to be mad at yourself when you’re anxious. You know that you’re not thinking rationally, but that doesn’t stop the anxious thoughts. But being mad at yourself doesn’t help you feel better—in fact, it makes Parker (and me) feel worse. Instead of being hard on yourself, be kind. You can’t always stop the thoughts, but you can at recognize that anxiety is hard and you’re doing the best you can. Talk to your friends and family. Throughout the book, Parker’s new friends Ruby and Finn encourage her to talk about her feelings, and it’s only when she starts to tell people that she’s worried and scared that things start to get better. I’ve found that being open about my worried thoughts with people I trust—my family, my best friends, my therapist—is often the first step toward owning and overcoming my anxiety. Know that it’s okay to seek help. It takes Parker a long time (a whole book!) to recognize she needs help in managing her worry. It took me twenty-plus years. More than anything, I hope that anyone who sees a little or a lot of themselves in Parker knows it’s okay to ask for help, whether it’s from a teacher, trusted adult, therapist, or good friend. Anxiety can be a hard road, but having someone on your side can make the journey a lot easier. 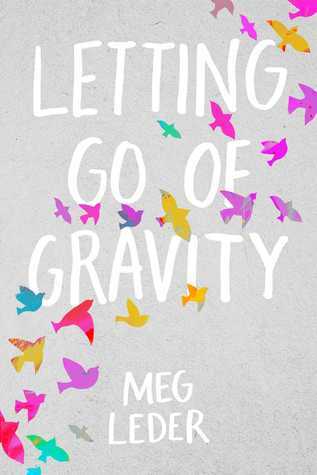 I hope you enjoy Letting Go of Gravity, and if you’re anxious too, please know you’re not alone—Parker and I are both with you. 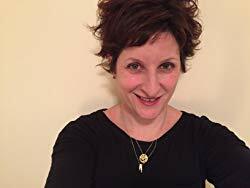 A former bookseller and teacher, Meg Leder currently works as a book editor in New York City. Her role models are Harriet the Spy and Anne Shirley. She is the coauthor of The Happy Book, and spends her free time reading, looking for street art, and people watching. She lives in Brooklyn, New York. I love that there's a teen book addressing anxiety! It's something many teens suffer from.